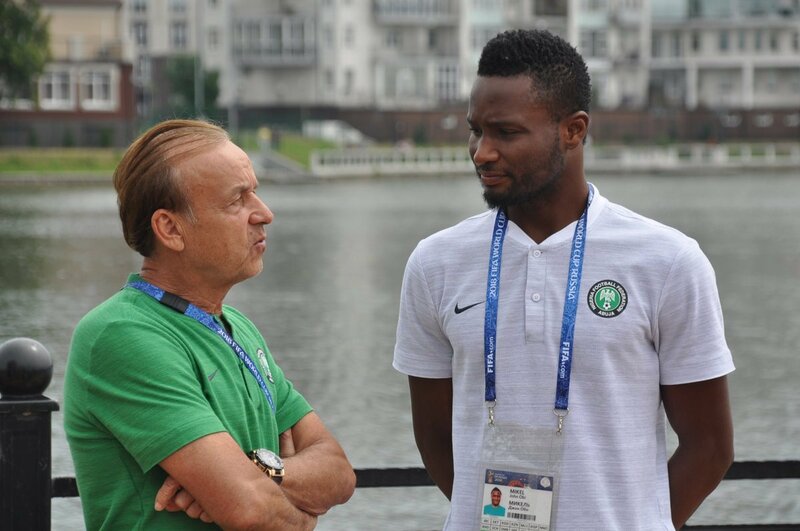 Super Eagles head coach Gernot Rohr has replied Manchester United manager Jose Mourinho on Mikel‘s playing position issues during their second team press conference held on Wednesday evening at their Essentuki training site. The Portuguese manager who converted Mikel from an attacking midfielder to a defensive midfielder after signing him at Chelsea in 2006 had earlier disclosed that “Nigeria lost a good No.6 to get a bad No.10.” But Rohr doesn’t share the same opinion with Mourihno. He rather believes that Mikel is a very good midfielder and plays well as a number 10. Rohr gave credit to Etebo and Ndidi as good defensive midfielders who are clinical in the number 6 position. The coach also reiterated that since he joined the Super Eagles two years ago, Mikel has been doing well with his apt distribution of decisive passes and game-winning mentality.